Rachel specializes in both Orthopedic and Sports Medicine with her background as a Certified Athletic Trainer. She has professional experience working with high school athletes, Division I collegiate level athletes, and weekend warriors for injury prevention and safe return to sport. Rachel also has interests in post-surgical rehabilitation and chronic pain. Her treatment approaches consist of current evidence-based practice utilizing Manual Therapy and Therapeutic Exercise techniques in order to achieve the best patient outcomes and to get her patients back to what they love to do. She has a passion for life-long learning and continues to seek new opportunities for professional growth. Rachel is currently working toward her Women’s Health Certification, Manual Therapy Certification, and Sports Therapy Certification. In the near future, she is interested in becoming a certified clinical instructor, so she can inspire and support physical therapy students, as well as becoming certified in functional dry needling. 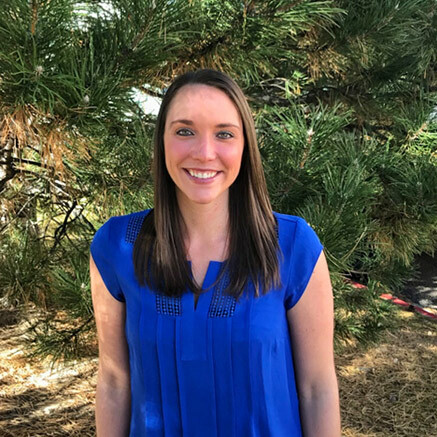 Rachel loves spending time with her family and friends in the great outdoors of Colorado. She enjoys skiing, camping, and hiking with her husband, Mitch and Yorkie, Tank. She also enjoys traveling, working out, playing basketball, reading, cooking, and oil painting in her spare time.